It's 01:03 in Butler, USA right now. 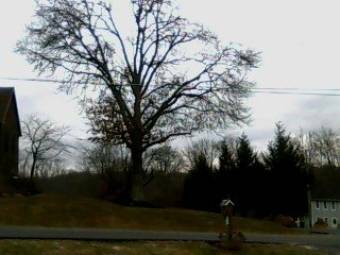 Center Township A webcam in Butler, Pennsylvania with image archive, weather data and timelapse videos. Butler, Pennsylvania: Butler County Airport Authority, 0 miles away. Wexford, Pennsylvania: Wexford Elementary School, 18.3 miles away. New Kensington, Pennsylvania: Valley Middle School, 21.3 miles away. Foxburg, Pennsylvania: Allegheny Clarion Valley Junior High School, 22.5 miles away. Sharpsburg, Pennsylvania: Camp Guyasuta, 25.4 miles away. Sewickley, Pennsylvania: Sewickley Academy, 27.1 miles away. McKees Rocks, Pennsylvania: Montour High School, 28.8 miles away. Rural Valley, Pennsylvania: West Shamokin Jr/Sr High School, 30.7 miles away.